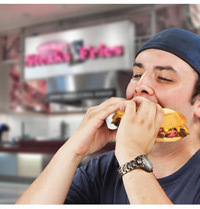 If you are looking for information on the South Philly Steaks & Fries franchise business opportunity, South Philly Steaks & Fries franchises or South Philly Steaks & Fries franchising, then you have come to the right place. The classic Philly cheese steak and fresh cut fries makes South Philly Steaks & Fries a must for every meat and potatoes fan. But it does not end here. South Philly is a crowd pleaser with chicken cheese steaks, hearty deli subs, huge baked potatoes and South Philly Salads. 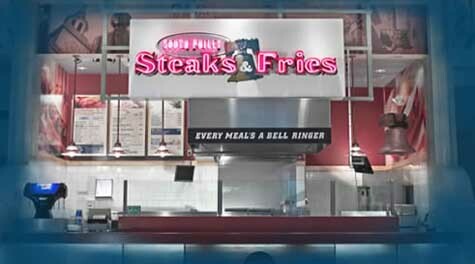 South Philly Steaks & Fries satisfies even the most hearty of appetites....and yes every meal is a "bell ringer". Villa Enterprises provides over 40 years of operational knowledge and expertise in the best practices and procedures for opening and sustaining a profitable food service business. The systems and practices that have made us a successful operator for over 4 decades are the exact same guidelines that we will share with you, as a franchisee. As a franchisor with over 300 corporate and franchised locations we have a high awareness of industry trends as well as an understanding of what needs to happen at the store level on a day to day basis to succeed. Villa can assist you in securing a new site or provide research on a site you propose. We also provide site selection training to help you identify the most opportunistic locations. Our leasing team is here to assist you with your lease negotiations. Our design and construction department provides you with guidance from drawings to the final punch list. Every Villa restaurant has a carefully planned contemporary design that offers guests a friendly and relaxing atmosphere. Villa University provides 3 weeks of intensive hands on training at our national training facility. You, your manager and any operating partners will be trained in all aspects of running a Villa Enterprises restaurant. We streamline the process for obtaining equipment to make it quick and easy, and pass our negotiated savings on to you. From the day you sign the franchise agreement a Franchise Operations Consultant (FOC) is available to help and guide you through any process of opening your restaurant as well as operating the business thereafter. Customized lending Programs available through third-party sources.